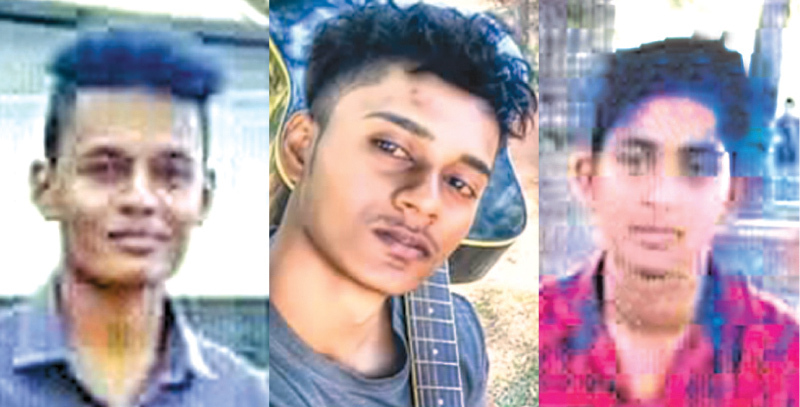 Three youths died and a woman sustained minor injuries when two motor bikes collided at Udubaddawa on the Kuliyapitiya - Madampe Road in the wee hours of yesterday (March 25). The dead were identified as Buddhimal Narasinghe (19) of Maha Agara Udubaddawa, D.M. Dilan Sanwila (19) of Kolombawatta, Udubaddawa and Isiri Chandrasiri (18) of Kendayaya, Udubaddawa. The tragedy had occurred while they were returning after attending a festival held at a devalaya in Udabaddawa. Dummalasooriya Police said the accident had occurred while one motorbike ridden at high speed was trying to overtake the other motorbike. The injured woman was riding on the pillion of this motorcycle. The post mortem examinations were due to be held at the Kuliyapitiya Base Hospital yesterday. Dummalasooriya Police is investigating.